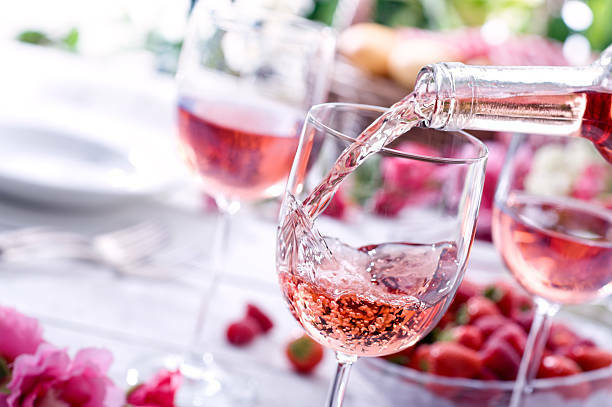 A recent article published by The Telegraph caught my attention when they bashed California rosé, swiftly and unapologetically admonishing the entire category in one fell swoop. The article advises readers to “steer clear of over-confected Californians”, while recommending examples from nearly every other prominent wine-producing region throughout the world, including France, New Zealand, Spain, Portugal, and Italy to name a handful. Some might argue that California deserves this reputation, and I’ll concede that there is a valid point to be made there. When winemakers figured out that they could bottle, ferment and sell the juice that they were bleeding from their fermentation tanks (to concentrate their red wines) and sell it as rosé (as opposed to discarding it), this process of rosé production (called the saignée method) quickly became popular because it provided a quick infusion of capital for cash-strapped wineries. This entry was posted in Uncategorized and tagged Best California Rosé, Best Rosé Wine 2017, Illahe Tempranillo Rosé Willamette Valley Oregon 2016 Price, Illahe Tempranillo Rosé Willamette Valley Oregon 2016 Rating, Illahe Tempranillo Rosé Willamette Valley Oregon 2016 Review, Kobler Estate Winery Rosé of Pinot Noir Russian River Valley 2016 Price, Kobler Estate Winery Rosé of Pinot Noir Russian River Valley 2016 Rating, Kobler Estate Winery Rosé of Pinot Noir Russian River Valley 2016 Review, Laurel Glen Rosella Sonoma Mountain Rosé 2016 Price, Laurel Glen Rosella Sonoma Mountain Rosé 2016 Rating, Laurel Glen Rosella Sonoma Mountain Rosé 2016 Review, Pedroncelli Dry Rosé of Zinfandel Dry Creek Valley 2016 Price, Pedroncelli Dry Rosé of Zinfandel Dry Creek Valley 2016 Rating, Pedroncelli Dry Rosé of Zinfandel Dry Creek Valley 2016 Review, Pedroncelli Rosé Review, Sanford Rosé of Pinot Noir Sta. Rita Hilla 2016 Price, Sanford Rosé of Pinot Noir Sta. Rita Hilla 2016 Rating, Sanford Rosé of Pinot Noir Sta. Rita Hilla 2016 Review, Young Inglewood Vin Clair Rosé Napa Valley 2016 Price, Young Inglewood Vin Clair Rosé Napa Valley 2016 Rating, Young Inglewood Vin Clair Rosé Napa Valley 2016 Review on June 14, 2017 by The Fermented Fruit.